In the deserted warehouse section of Lower New Haven there is a sparking-bright new quintet destined to dominate the international airwaves. Rehearsing diligently, TV Neats was first plotted then fabricated by Ricky Rondo, formerly the leader of Hot Bodies. Ricky spent the fall of 1980 producing some local demos, searching for the perfect combination of looks, vocals, and creativity. He approached guitarist and vocalist of the Ex-Cerpts, Michael Priggen and lead singer/keyboard player of The Kids, Ms. Robyn Ouiba to form TV Neats. Bassist Chipper Anderson, a former local musician was called from Hollywood, as he fit right into TV Neats musical attitude. The band then immediately picked four songs and recorded them in a few short weeks. The entire group has developed in an incredibly rapid fashion, all members agreeing in attitude and direction, not unlike many other hit machines. If local response is any clue (Was I) Dreamin' Again has the possibility of being a colossal midsummer smash for 1981. "Give Me More" shows a moody and structured style while "Shadows" and "Runnin' Round" are as pop as can be and dance city all the way. The gems just keep coming. TV Neats entire set is worthy of any major labels interest: All differ in style but maintain a consistency in sound while being thoroughly recognizable after just one taste. 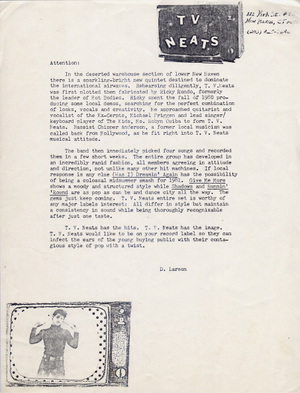 Buy TV Neats & The Excerpts "Pop As Can Be & Dance City All The Way"
TV Neats was the 4th "punk rock" and/or "new wave" band that I was in, in New Haven, Connecticut between 1978 and 1981, after The Special Guests (featuring early New Haven scene producer and former member of "The Snotz" Thom Gartland), The Obvious (with Mark Mulcahy and Ray Neal, both later of Miracle Legion), and The Excerpts (Power-Pop hero Jon Brion's 1st band-represented on this compilation by the song "Will I Ever See You Again"). 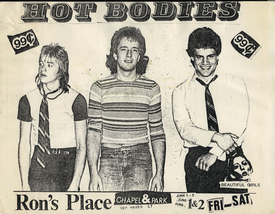 Ricky Rondo (sometimes "Rondeaux" - real name Ric Orlando) led a power trio called Hot Bodies, which was one of my favorite combos on the local scene (I covered "In The Inside", written by their drummer Kerry Miller, on my 2005 LP "Stars After Stars After Stars"). There was some talk of me joining Hot Bodies as the 2nd guitarist/singer, but instead Rick broke up the band and started the "local supergroup" TV Neats. 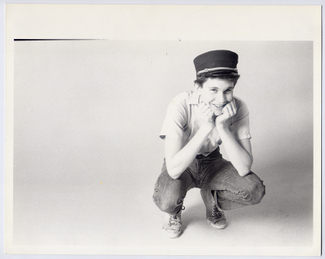 Recording had begun on the first TV Neats demo (sometime in 1980) before I was officially asked to join the band. 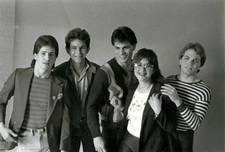 Ric and keyboardist/singer Robyn Ouiba (real name Robyn Cornell) formerly of "The Kids", had gone into Joe Mendyk's West Haven studio with local "rhythm section for hire", Rich D'Albis (Drums) and Doug "Derek" Riccio (Bass) -both then of "Doug Derek & The Hoax". They recorded four songs: Ric's "Runnin' Round", "Shadows" and "Don't You Take It Away" and Robyn's "Was I Dreaming Again". I was soon asked to join the band and I added my guitar and vocals to all 4 songs. The tape garnered a bunch of airplay on the local college radio stations. The band was then filled out by Robyn's former "The Kids" bandmate, bassist Greg "Chipper" Anderson (who had also been in the Connecticut band "Epitome") who was enticed to move back from Hollywood on the strength of the first TV Neats demo. Jay Potts (real name Potocsky- his brothers are Joel Potts of "Miracle Legion" and Moe Potts of "The Laughing Dogs") was brought in to play the drums. We played around the local clubs like "The Joint", "The Whalley Cinema" & "The Arcadia Ballroom" with other area bands such as "The Poodle Boys", "Suburbanites", "Disturbance", and the aforementioned "Doug Derek & The Hoax" as well as opening for, at New Haven's premier venue "Toad's Place", national and international acts such as "Joan Jett & The Blackhearts" and "The Stranglers" (who made Chip change out of his leather trousers as it was in their contract that no support bands could wear leather on stage!). One of our more unusual regular gigs was opening on weekends for local singer Michael Bolotin (long before he changed his name to Michael Bolton and became so successful) in a loft above a steak restaurant, a job we got because our drummer Jay and his brother Moe (Mark) were also the dual drummers in Bolotin's band. On April 1-3, 1981 we returned to Joe Mendyk's studio and recorded 9 more songs. An alternate version of the 1st demo's "Don't You Take It Away", "Who's Courtin' Who", Robyn's "I Said On No", my song "Pushing Buttons", "Band Tonite", the obligatory "white reggae" jam "Sound Off", "I'm OK" (written by Ric but sung by me), "Do You Remember Me" and "Dear Abby". By the end of July 1981, Chipper had left the line-up to start a band with New Haven guitar prodigy Bobbie Rose (The Snotz). He was replaced by former "Hot Bodies" member Scott Harris (that's him in the pictures of TV Neats live on the New Haven Green). The band broke up not too long after that. Ric and Jay moved to Boston and started the funk band "Skin". Robyn stopped playing music and for a while managed the band "October Days". I played bass in "Stray Divides" with Mark Mulcahy and Ray Neal and future "Dumptruck" co-founder (and former "Suburbanite") Kirk Swan, until I finished high school & moved to New York City in the fall of 1982 to attend the School of Visual Arts. In 2006, Ric Orlando is a successful chef and restauranteur near Woodstock, NY. Robyn Cornell lives with her husband and son in her home town of Monroe, Connecticut. Greg "Chipper' Anderson is a professional fox hunter in North Carolina and still plays in bands. Michael "Spike" Priggen is a songwriter and recording artist in New York City and publishes the blog Bedazzled.tv. 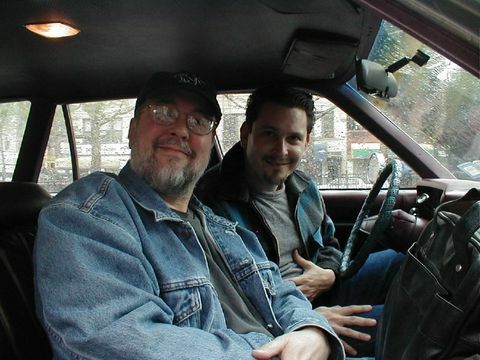 Here's me and Bun E Carlos in the front seat of my (since deceased) 1977 Volare Station Wagon. We're on our way to Brooklyn's "Fireproof Recording" where Bun E played on 8 Spike Priggen tracks in one day (nice going Bun E!). 6 songs are on my new all-covers CD "Stars After Stars After Stars" and there'll be 2 more on my next all originals CD (working title "There's No Sound In Flutes"). The 4th song on my new CD is "When You Looked At Me" written by Jenifer Jackson. I first heard this song on Jenifer's "Love Lane" EP-soon after that I got to play bass on it for a few gigs with her. Jenifer's songs have this timeless pop quality. Although it's probably the most modern song on the record (chronologically), it sounds like it could one of the oldest. I'm betting this is one of the few songs in recorded history that features pedal steel AND lap steel. When twangy/jangly power popster Spike Priggen was recording at Brooklyn's Fireproof Recording studio a few weeks ago, he told the drummer, "It's really great having you here--I don't have to tell you to play it more like Bun E. Carlos" like he's done in previous sessions. That's because this time, the guy behind the kit was Bun E. Carlos, of Cheap Trick chainsmoking fame. They recorded eight songs together with local one-man-supergroup and Priggen's former Hello Strangers bandmate (from the '80s New Haven scene) Dean Falcone on bass. Now doing the solo thing in New York City, Priggen is also remembered locally for playing in The Stray Divides, and in the early '90s with David Brooks in The Lean-Tos and The Streams. His newest project, a follow-up to last year's The Very Thing That You Treasure, will be an all-covers CD, including tracks recorded with Bun E. and Dean-ie, like Big Star's "Nightime," Alice Cooper's "I'm Eighteen" and Jacobites' "Big Store," as well as a cover of the local classic "In the Inside," a song originally written in the late '70s by drummer Kerry Miller (currently of The Swaggerts and Los Gatos) back while he was in The Hot Bodies with shades-onstage Ric (Orlando) Rondo. The song was covered once before in the '90s by Miller's pals F'n Colleen. Miller is bemused by the staying power of "In the Inside" since, he laughs, "it only has two chords." Priggen thinks Miller's "gonna like my version. It's like The Sweet meets The Beach Boys." A 13-year-old Priggen first met Bun E. backstage at The Palace when Cheap Trick opened for Foreigner, and they've been pals and 45's collectors since. Falcone, a life-long Cheap Trick fan (known to have performed the entire Live at Budakon album at Rudy's on Christmas shows past with Jim Balga, Wally Gates and Scott MacDonald), played it cool during the session, but says he turned into a big geek fan afterwards, which was fine by Bun E.
The first song on my new LP "Stars After Stars After Stars" is a cover of a song by Hot Bodies called "In The Inside"
Hot Bodies were one of my favorite local New Haven bands of the late '70's New Wave/Punk scene. Lead singer Ricky Rondo was kind of a hero of mine and taught me some important guitar licks (the scream bend!). There was some talk of me joining Hot Bodies as the 2nd guitarist, but Rick broke up the band instead, and started another, TV Neats, that included me. The song was written by their drummer Kerry Miller, the only guy on the New Haven scene who was as big an Alex Chilton freak as me. He claims to have written the riff on a guitar of mine , I don't remember, but I can't imagine why he'd make it up... One of the 1st songs I learned how to play on guitar (2 easy chords). 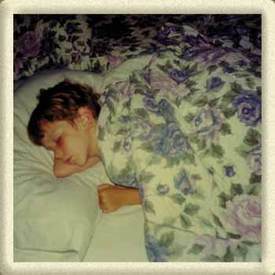 The working title of the record was always "In The Inside", it wasn't until after it was done that the whole "Stars After Stars After Stars" concept was hatched. This is so weird. I never thought I'd have a "What's New" item about a band I was in 25 years ago, but I just figured out (through a discography on this site) that a song I wrote (and sang) when I was like 14, "Pushing Buttons" (for the band I was in then, TV Neats) is on a compilation CD called Shielded By Death Vol. 3 on Bacchus Archives Records. Not only that, but another TV Neats song (written by band leader Ricky Rondo) is on "Meet Me In The Time Tunnel – Obscure Powerpop From The Land Of The Lost 1978-1985" from the Japanese "Wizzard In Vinyl" label. And both songs have gotten airplay. On cool stations! Now I don't know who, if anyone, gave anybody permission to put this stuff out, but it's pretty funny that someone would wanna. That doesn't mean I don't want my 8.5 cents per record (which I've recently found out is the standard royalty rate- 'cause I'm having to pay it to all the artists I cover on my new record!). Mp3 of "Pushing Buttons" is here . Now I gotta go figure else what other songs of mine are out there on records I don't know about.